CJC Off Road Blog: Ford Frenzy! Lately, we've had a whirlwind of Carli Suspension equipped Super Duties popping up! 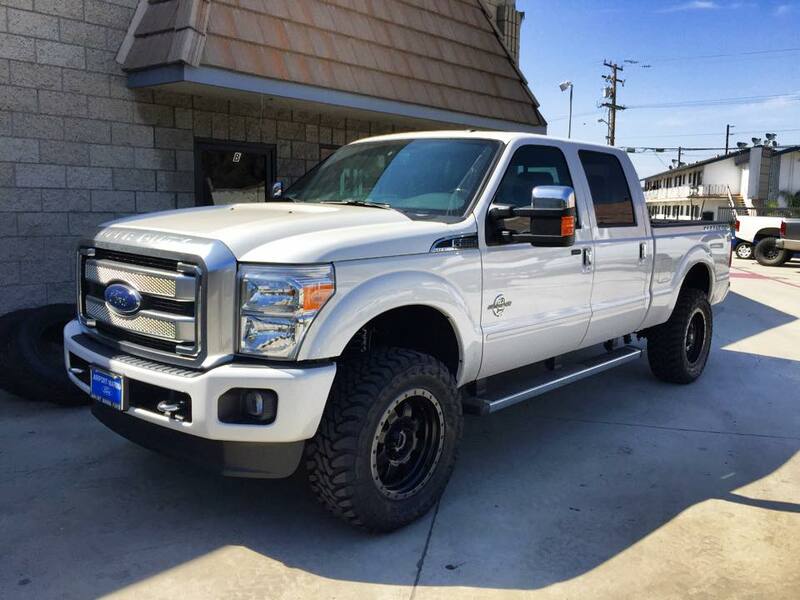 This brand new 2015 F250 Platinum is rocking a Carli Suspension Commuter 2.0 leveling suspension system, 20" Fuel Trophy wheels, and 35" Toyo Open Country MT tires. The ride quality improvement on this one was drastic! 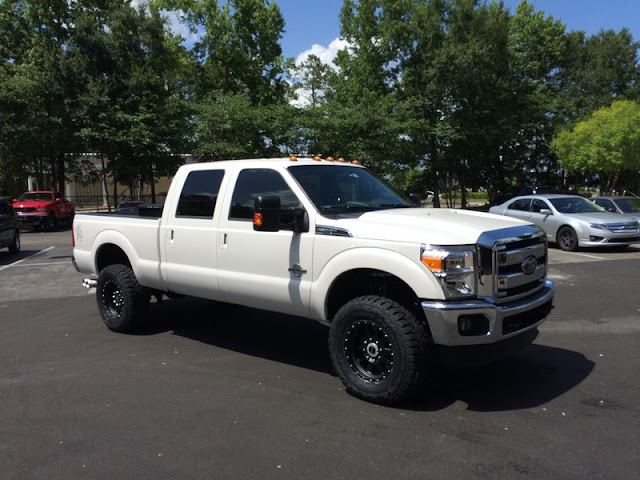 The owner of this 2014 F350 was looking for a suspension system that retained towing capacity while improving looks and ride quality. 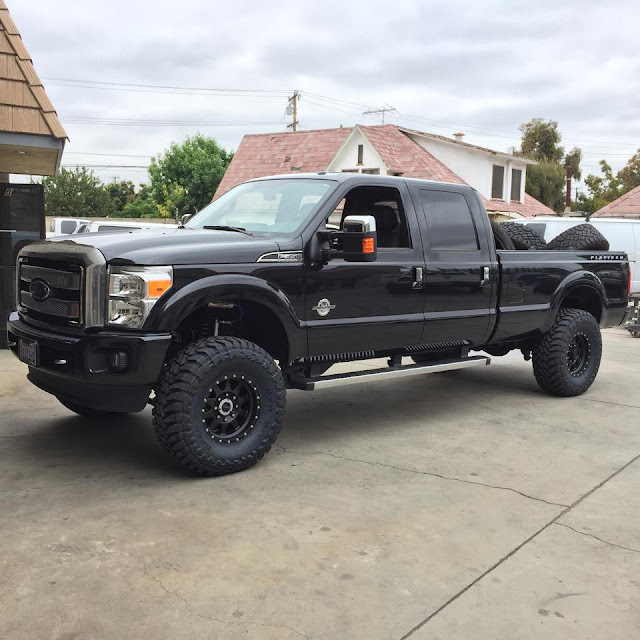 We feel the Carli Suspension Commuter 2.0 leveling system on this truck fits the bill in both categories. 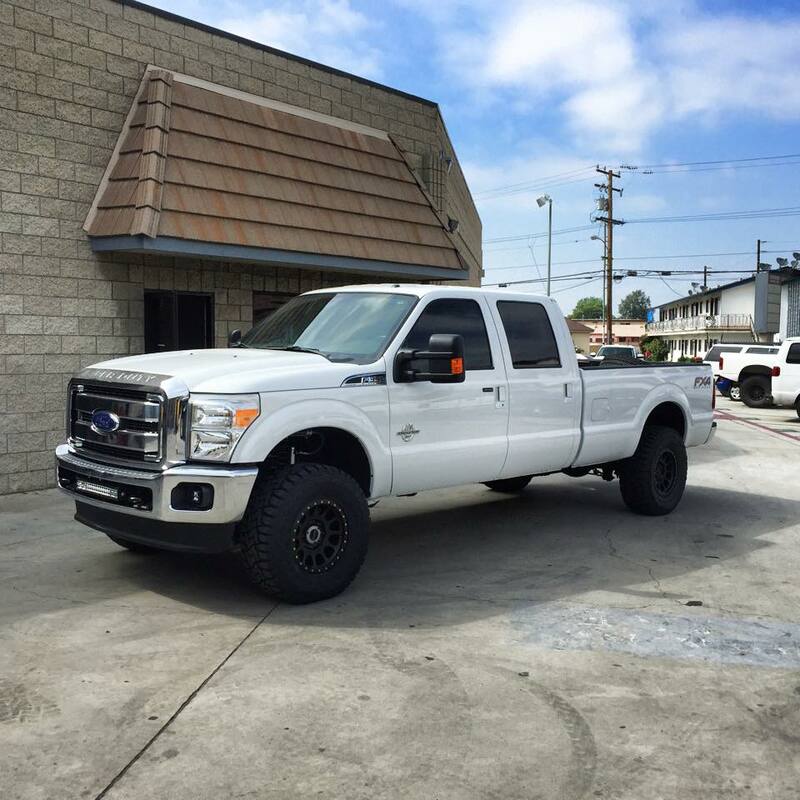 This truck is running 17" Method Race Wheels NV wheels wrapped with 35x12.5x17 Toyo Open Country R/T tires. 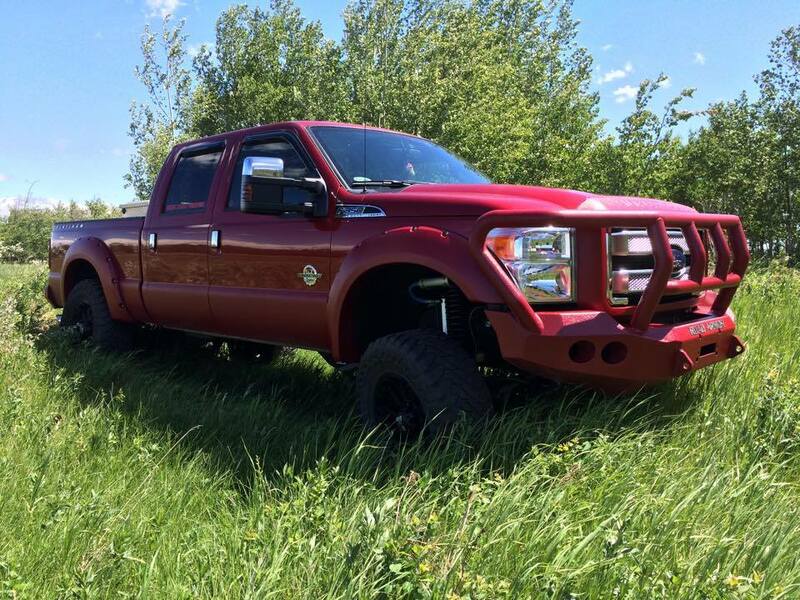 This Super Duty serves double duty as a tow rig and a daily driver/minor off roader. The Carli Suspension Back Country 2.0 leveling system on this truck offers an improved ride around town while drastically improving off road comfort and performance. This truck is rolling 18" Method NV wheels and 35" Toyo Open Country R/T tires. This Platinum from Canada features a Carli Suspension 4.5" Pintop 2.5 system, Road Armor bumpers, Fuel Off Road 20" wheels, and 37" Toyo Open Country MT tires. The owner uses this truck in a variety of terrains and has been very pleased with the performance of this system! This 2013 Super Duty features a 4.5" Carli Suspension Performance 2.0 suspension system, 18" Method NV wheels, and 37x13.5x17 Toyo Open Country MT tires. This truck, although late model, gets a frequent work out off road and is holding up quite nicely! This 2013 Platinum features a 4.5" Carli Pintop 2.5 system, 17" Method Standards, and 37x13.5x17 Toyo Open Country MT tires. We are thrilled with how this truck turned out! Off road capability and handling are significantly increased with this system. It's tough beat the looks and stance of this setup! This last pic of the black'13 with the 4.5" pintop and 17" method's with 37" toyo's is exactly what I'm wanting to do. What is the offset & backspace of those wheels? Could it be a different os & bs to pull the tires closer in to the wheel wells while still working with the suspension? If I used this exact wheel/tire combo and spend 95% of my time on road would I tell a big on road improvement if I upgraded to a Dominator system? The last black truck is running 4.5" backspacing (-12mm offset) wheels. You can run 5" backspacing as well and still clear, which will pull the tires slightly more into the fender wells. This exact wheel/tire combo has a lot of sidewall, allowing it to ride very nicely both on and off road. I'd say that combined with a Dominator system, there would be no better riding setup. Thank you for your immediate response to my question. I'd want this setup with the wheels/tires tucked in as much as possible. I'm assuming adding some pocket flares would cover the 5" backspaced wheels entirely? If so do you have any pics for reference? the last picture of the black platinum, with the 4.5" backspacing (-12mm offset), did u have any rubbing anywhere? I am considering the exact setup but in an 37X13.50r18 toyo rt. Pocket flares would likely cover 5" backspacing completely. The 4.5" backspacing only rubbed on the front bumper bracket, which was corrected by grinding it down. Once ground down, the truck cleared nicely. 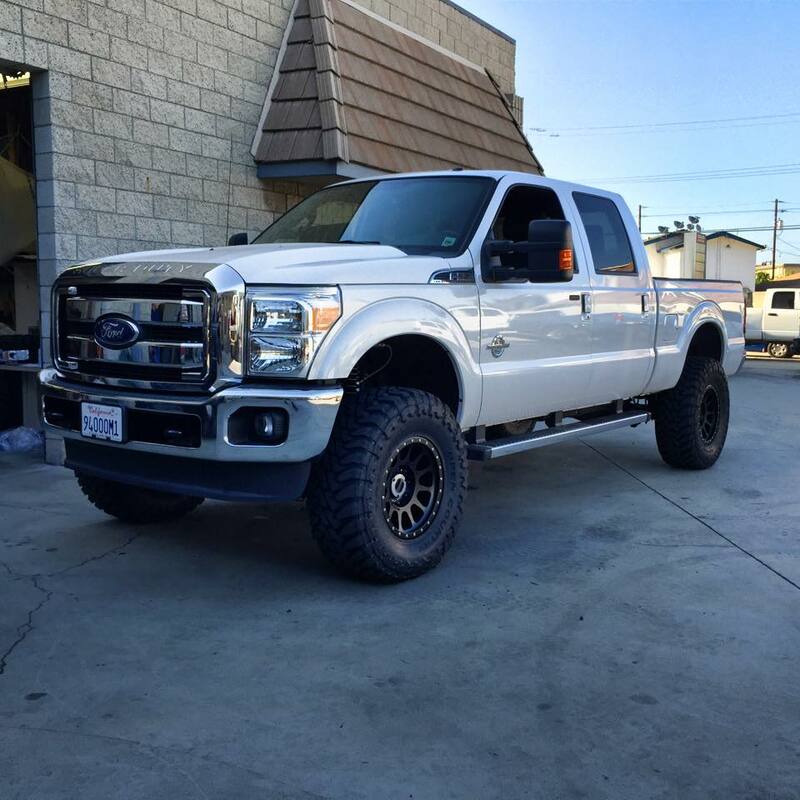 Have you guys run a Carli commuter leveling kit with 37x12.50 Toyo R/T's on a '14 F250 with 20x9 and 0 offset? We have. Running 37's at this height requires a bit of trimming to the lower back part of the front fenders to clear correctly when turning at speed.